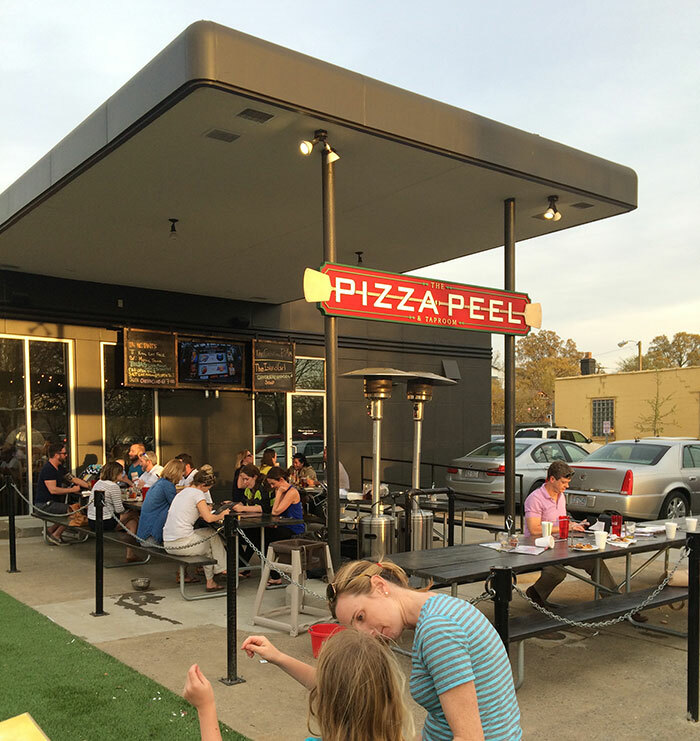 Love “kids eat free” deals, but also want a restaurant that parents will love too? 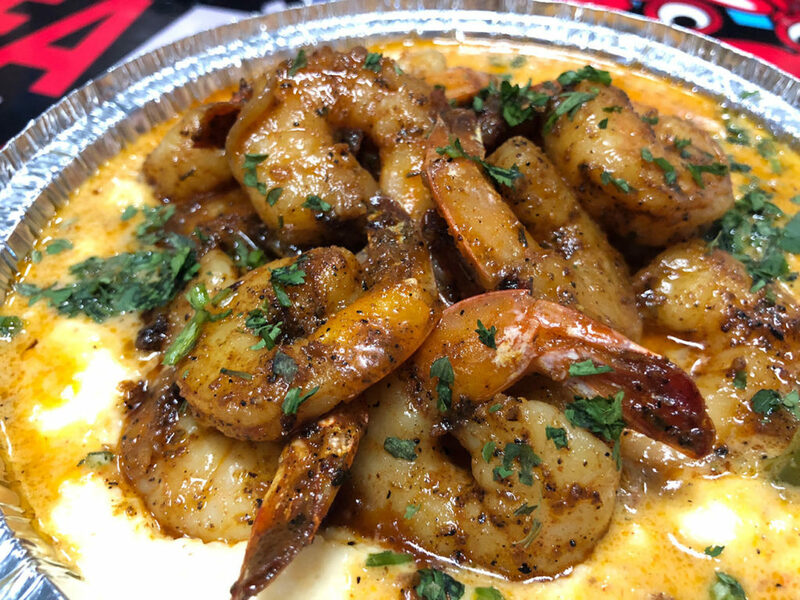 Good news: I have two toddlers and eat out way too much — so here’s an Agenda guide to 10 favorite “kids eat free” deals in Charlotte. *Most of these restaurants have multiple locations. I just added their top location to the map. The deal: Kids eat free from 4-8 p.m. on Mondays with the purchase of an adult entrée. One free kid’s meal per adult entrée purchased. Kids menu breakdown: All dishes served with potato stix or veggies straws, fresh fruit and a kid’s cup. Dishes include: hot ham and cheese, grilled chicken strips, grilled cheese, chicken salad sandwich and grilled peanut butter fluff sandwich. Kid setup: On the patio, your kids will find corn hole and giant Jenga. Inside, they’ve got 4 shelves packed full of games. Parent order: Lime Marinated Steak and Rice served with a garden salad or their local mix salad – applewood bacon, corn, hard-boiled egg, red onion, cheddar and our honey mustard vinaigrette. 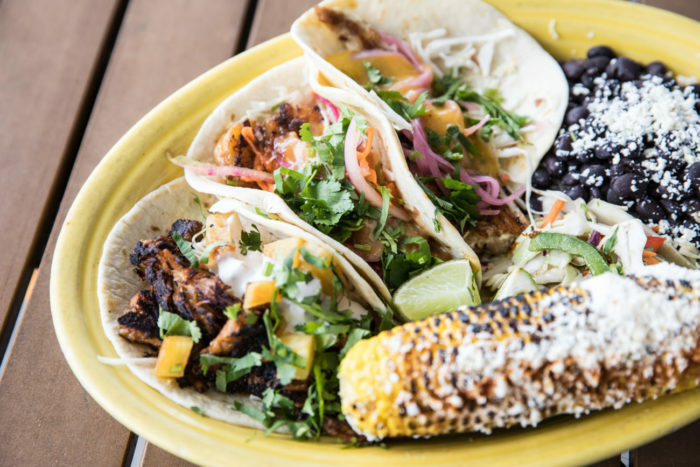 We recommend adding grilled chicken. 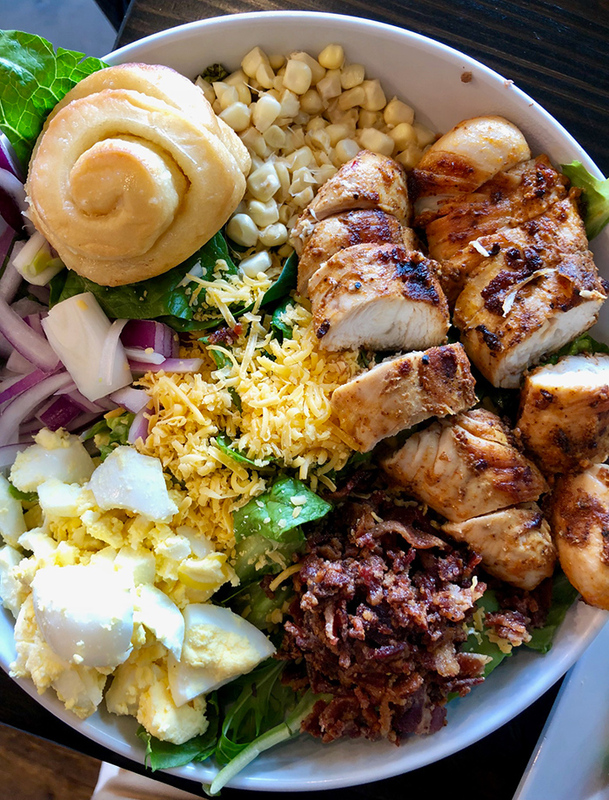 Most meals, including this local mix salad comes with a warm orange roll that you’ll love if your toddler doesn’t grab in from your plate first. The deal: Kids 10 years and under get a free Kids’ Meal all day on Monday – Thursday. One kid per adult entrée. Kids menu breakdown: Dishes come with your choice of side dish (fruit, broccoli, mac and cheese, coleslaw, chips or fries) and options include: cheeseburger sliders, cheese quesadilla, BLT wraps, chicken tenders, cheese or pepperoni pizza or mac and cheese wedges. Parent order: Go with one of Dilworth Neighborhood Grill’s popular chicken or pork tenderloin New York spiedie sandwiches. The deal: Kids 12 years and under get a free Kids’ Meal all day on Tuesday. One kid per adult entrée. Kids menu breakdown: Options include hamburger, grilled cheese or chicken nuggets. 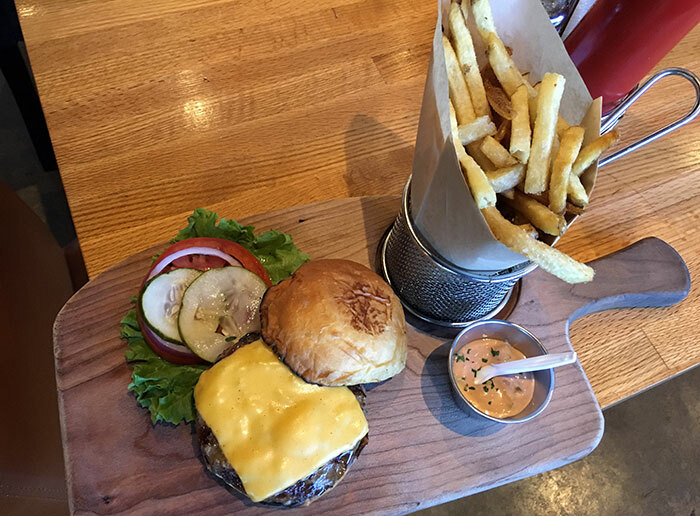 Parent order: Bang Bang Burger ($9.50) – American cheese, lettuce, tomato, onion, homemade pickle and bang bang sauce with fries. Even though it sounds weird, I also love their guacamole burger. Bang Bang Burger. Yes, the kids eat free deal works at both locations. The deal: Kids 12 years and under get a free Kids’ Meal after 4 p.m. on Tuesday. Two kids per table. The deal: Kids 12 years and under get a free Kids’ Meal all day on Tuesday. One kid per $7.50 an adult spends. Dine in only. Kids menu breakdown: Kids menu items (includes a fountain drink): cheese pizza, pepperoni pizza, grilled chicken with broccoli, cheese ravioli with marinara, homemade mac and cheese, chicken fingers and waffle fries and angel hair pasta with marinara or butter sauce. 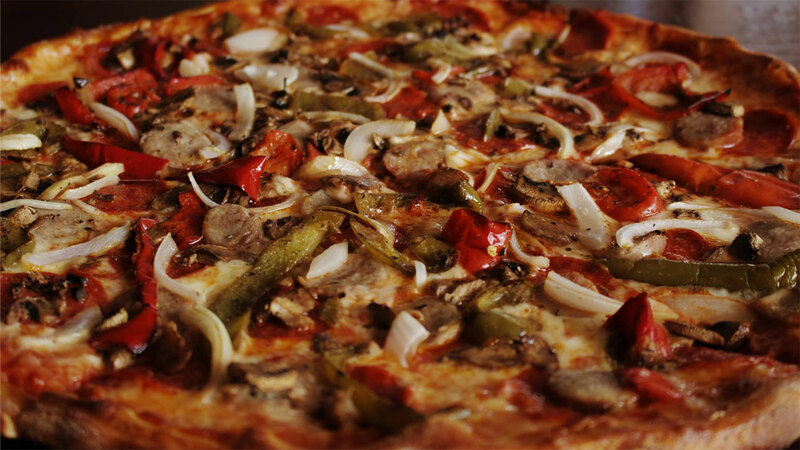 Parent order: Pizza — Hawthorne’s Sicilian, New Yorker or the Elizabeth Special. The deal: Kids 12 years and under get a free Kids’ Meal all day on Tuesday. Two kids per adult. Dine-in only. 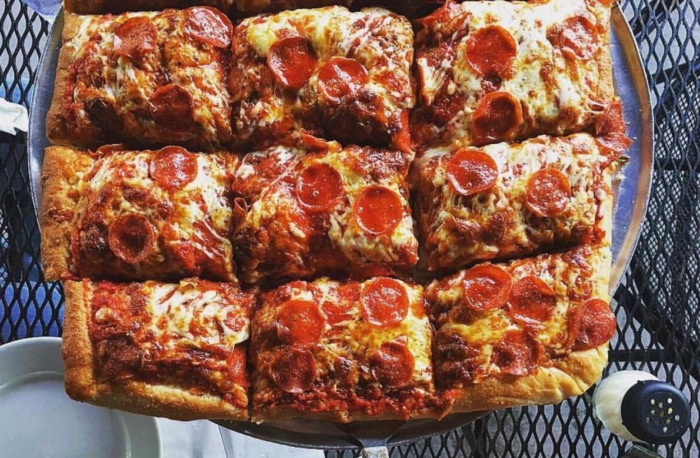 Parent order: Pizza – peel pepperoni, BBQ chicken, buffalo chicken or Tong’s Thai. The deal: Kids 12 years and under get a free Kids’ Meal all day on Tuesday. One kid per $7 adult entrée. Dine in only. 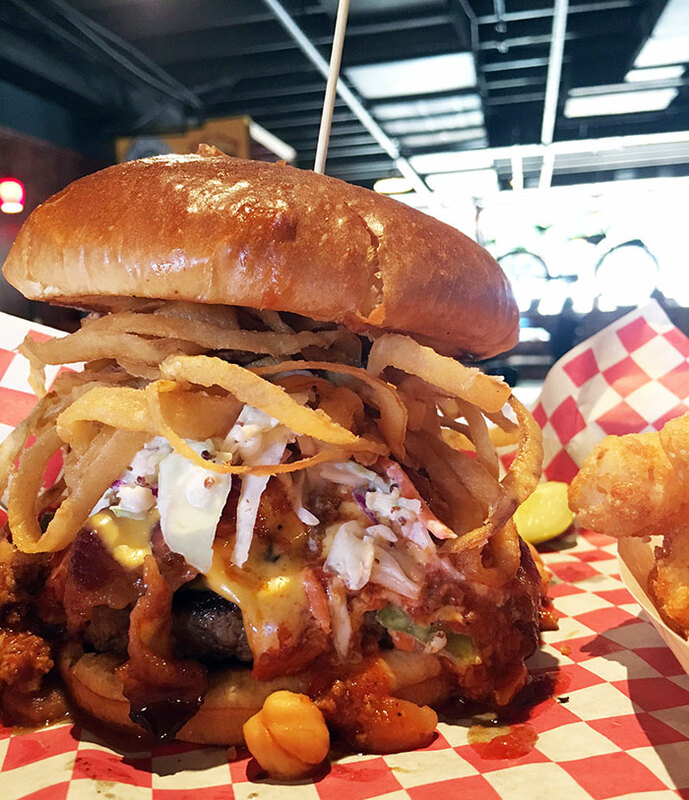 Parent order: The Fender Bender – beef burger topped with chili, crispy fried onions, mushrooms, slaw, American cheese and bacon. 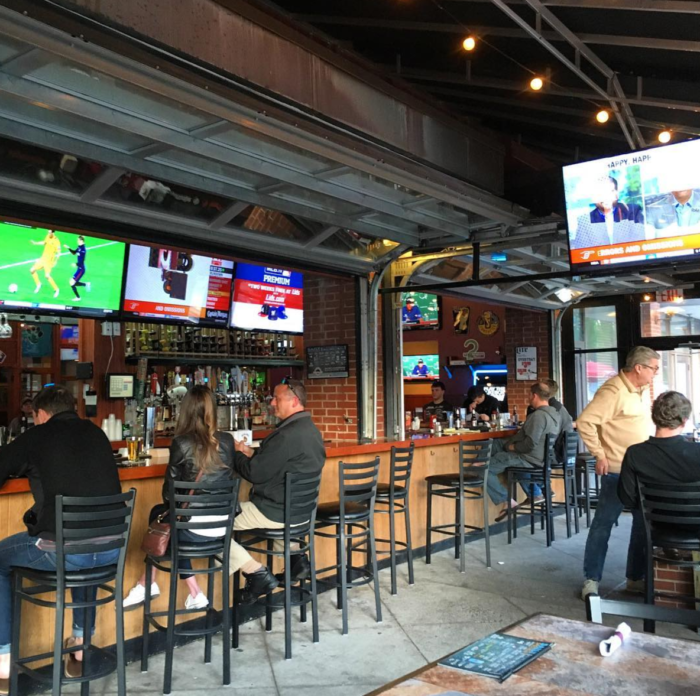 It’s also $3.50 drafts on Tuesdays at Kickstand. The deal: Kids 12 years and under get a free kid’s meal all day. One kid per adult combo. Kids menu breakdown: Kid’s menu items come with a side (chips, fruit salad, fries) and a drink (soda, milk, juice box) and include: puppydawgs (bite-sized corndogs), skinless hot dog, JJ’s peanut butter and jelly and chicken tenders. 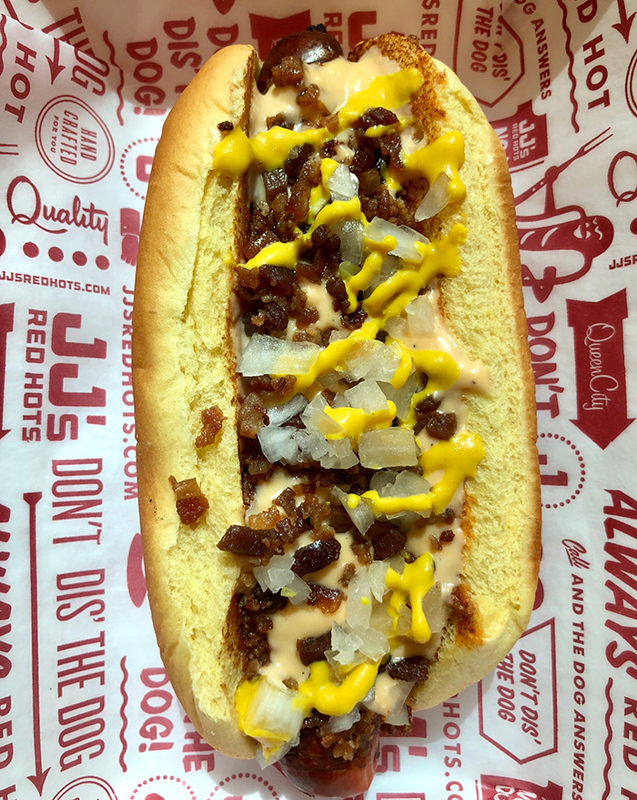 Parent order: Uptown Downtown ($3.99) chili, bacon, beer cheese, onion and mustard. 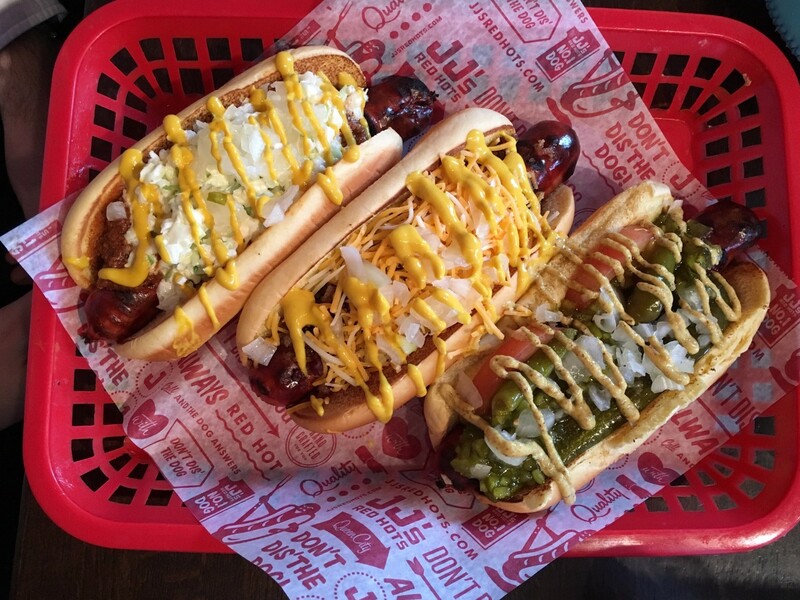 The Uptown Downton is the #1 selling hot dog at JJ’s. It’s delightful. Kids eat free deal is available at all three JJ’s locations. The deal: Kids 12 years and under eat free on Wednesday. Kid’s Meals only with an accompanying adult purchase. Kids meal options include entree, side and drink. 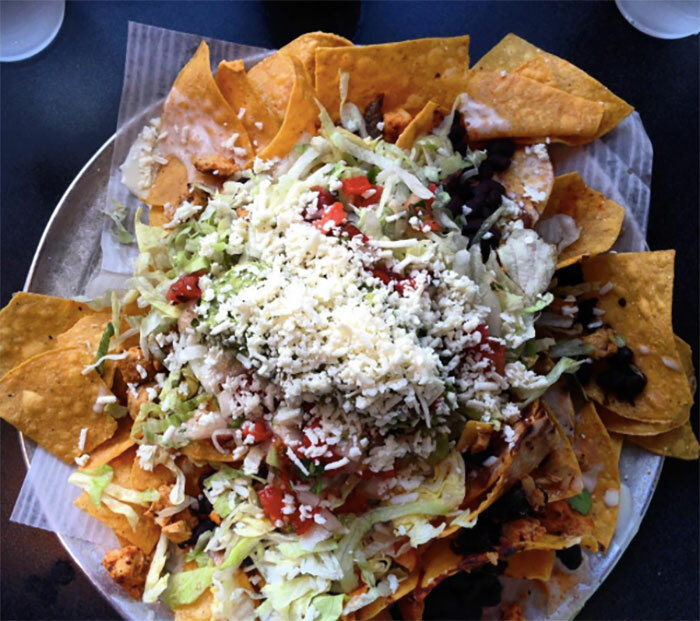 Parent order: Go with the nachos, tacos or if you’re looking to stay healthy, their quinoa avocado bowl. The deal: Kids 12 years and under get a free Kids’ Meal on Sunday. One free Kid’s Menu selection per adult entrée, pasta, or whole pizza. Parent order: Go with Libretto’s popular lasagna or their Pizza Bianca – a classic white pizza with mozzarella and ricotta cheese. They also run bloody mary and mimosa specials for the parents.